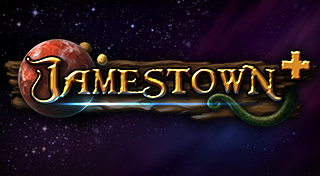 Jamestown+ is a game that I played on my PC when it was just called Jamestown and it is a fun little shoot'em up game. 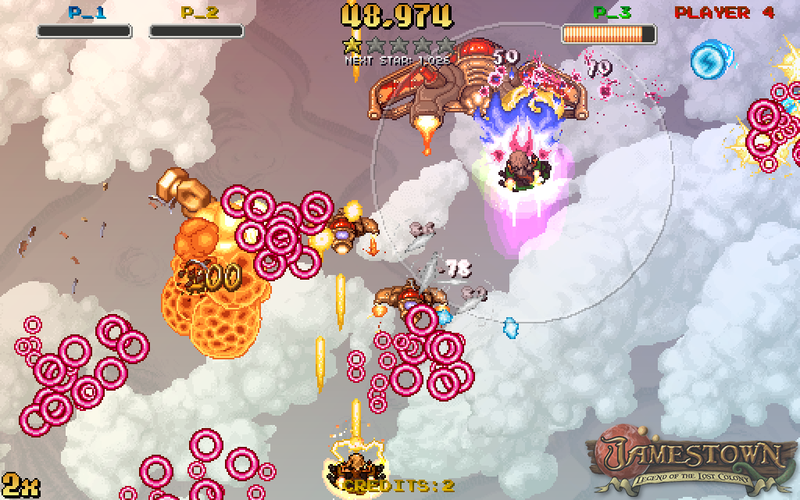 For those that don't know, shoot'em up games are games where you control a plane and you fly around and you shoot down enemies and usually with the end of each level being a boss battle. 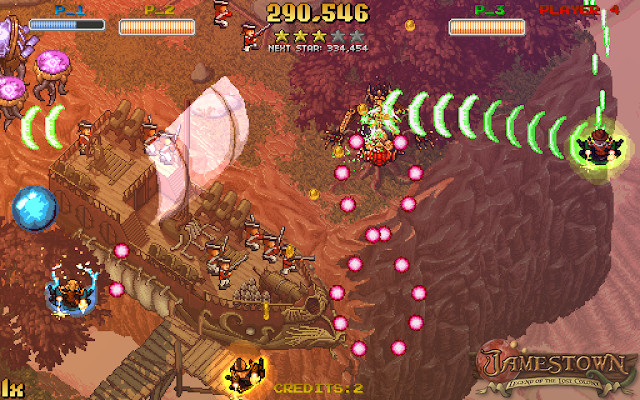 Jamestown+ is also categorized under the bullet hell genre, which is where you get spammed with bullets and while there is always a pattern so that you can avoid them, it takes a lot of exact movements to do so. In Jamestown+, you play as one of four ships, each with its own primary and secondary attack and well as a vaunt ability that allows for increased attack and score multiplier for a short period of time, it is an ability that you have to build up a meter for to use. 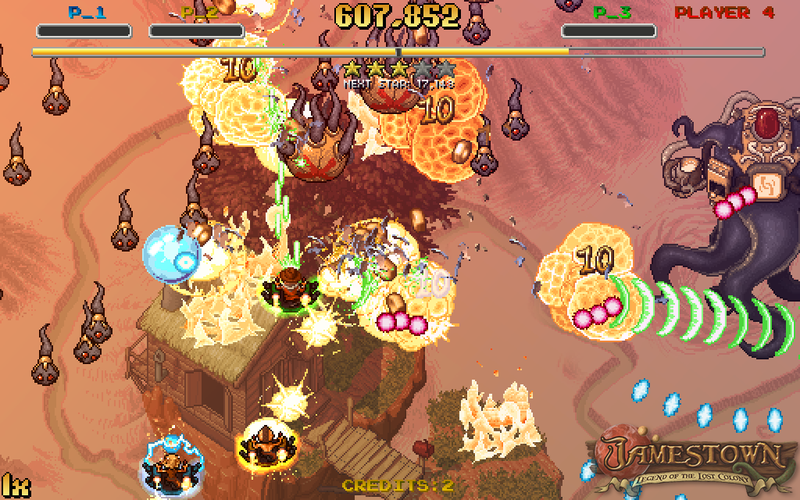 It is a fun game and there are a lot of things that you can unlock as you go along. 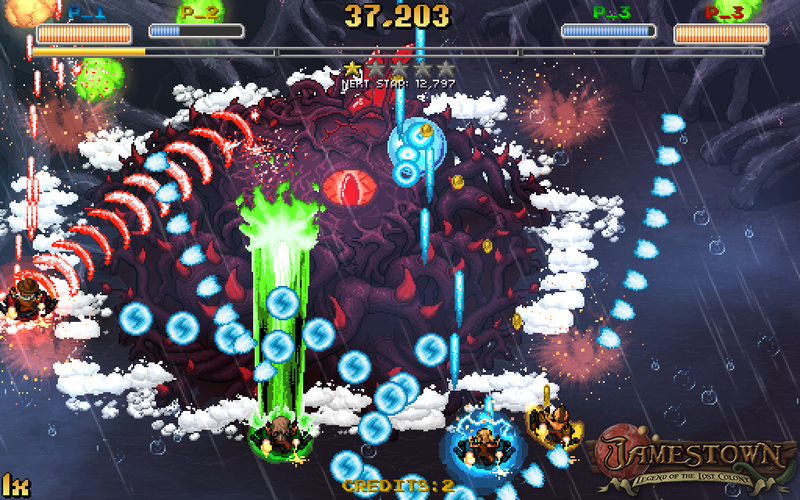 You unlock difficulty levels, new ships and mode. 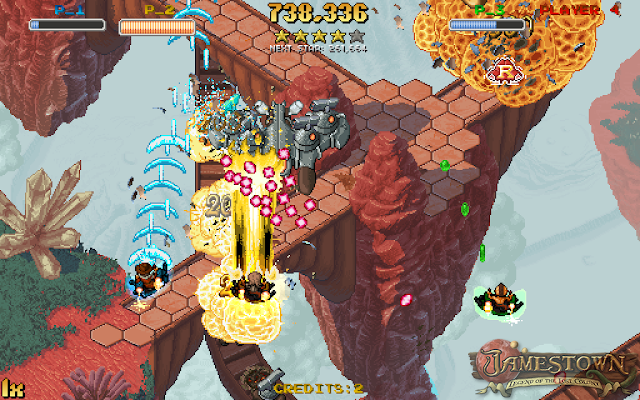 Each level can be played on its own or in a full story (which is pretty complex for this type of game) with several difficulty levels. As well, it is the only shoot'em up that I can recall that allows for up to 4 players simultaneously. Well worth a try if you are into the shoot'em up genre, I don't know if I could recommend it to those not interesting since it does get difficult quite quickly and for those that aren't into bullet hell games, the precision required to dodge can get quite infuriating. However, the mechanics and layout of the level means that you learn things pretty quickly as long as you don't give up. Come back next Wednesday for my Final Thoughts on Fez for PlayStation 4!